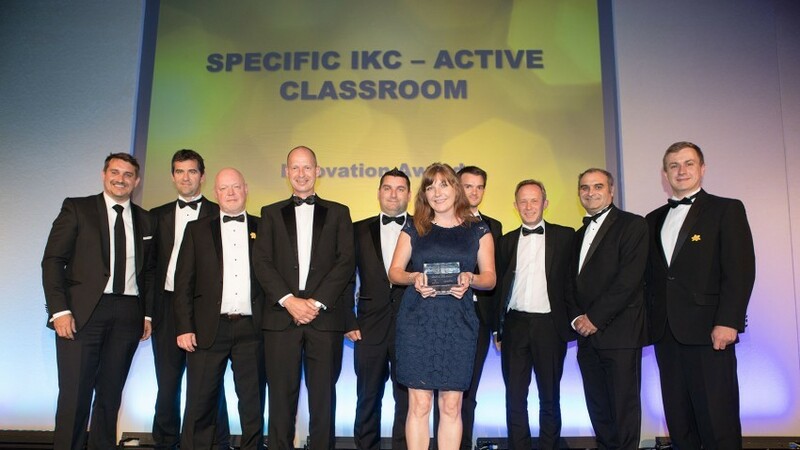 The ‘Active Classroom’ built by Swansea University’s SPECIFIC Innovation and Knowledge Centre (IKC), has won the Innovation Award in The Construction Excellence Wales awards which celebrate the best of the construction industry in Wales. 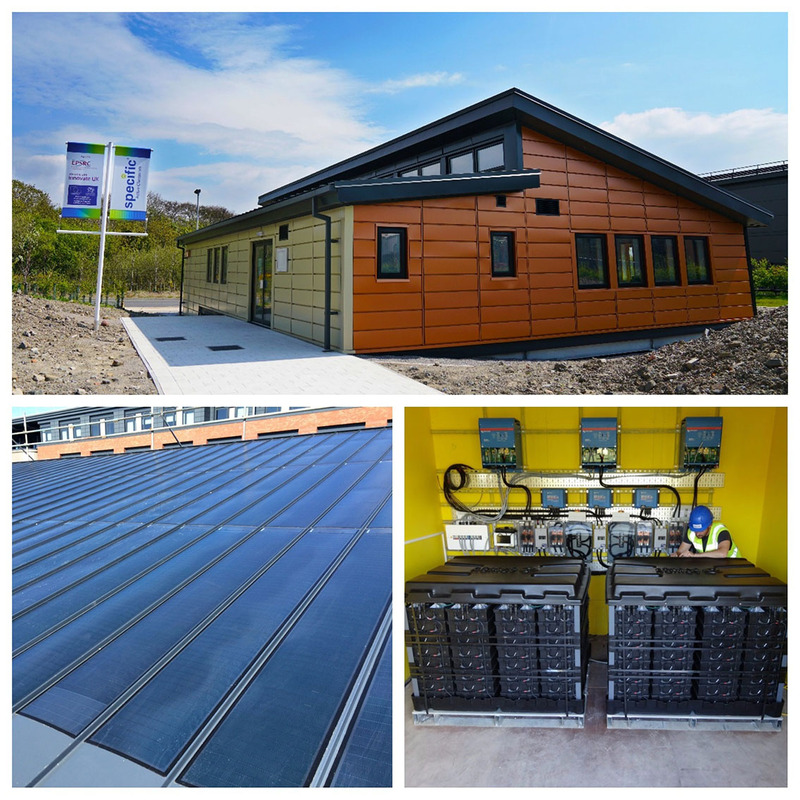 The Active Classroom at Swansea University’s Bay Campus generates, stores and releases its own solar energy and is a building for learning from, not just in. The Construction Excellence Wales awards are recognised across the built environment as the biggest and brightest celebration of best practice in Wales. 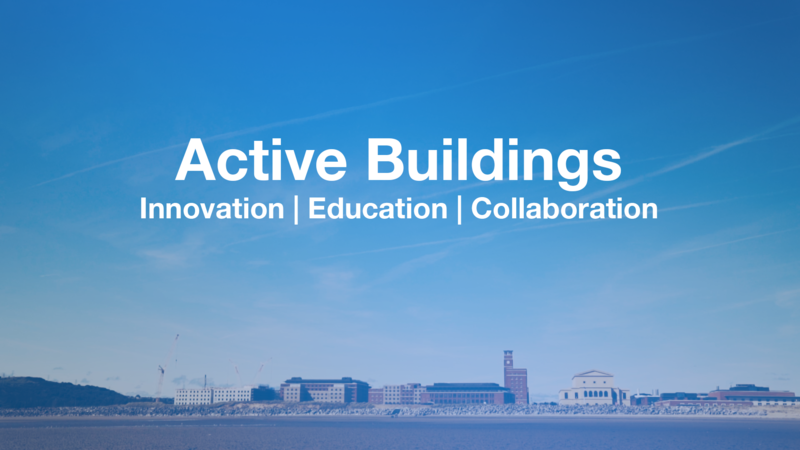 This year, Swansea University’s SPECIFIC-IKC was shortlisted for four awards; Innovation Award, Integration & Collaborative Working Award, Sustainability Award and Young Achiever award (Tom Griffiths – Smart Systems & Integration Manager). SPECIFIC-IKC was presented with the Innovation Award in a ceremony in Cardiff on 14 July. Paul Jones is Technology Director at SPECIFIC. He said: “We are thrilled that the Active classroom has been recognised as the winner of the Construction Excellence Wales Innovation Award. Buildings are responsible for approximately half of the UK’s CO2 emissions and SPECIFIC’s ‘buildings as power stations concept’ offers a solution to this problem by creating buildings that generate, store and release their own energy. Electricity is generated by a steel roof with integrated solar cells, supplied by SPECIFIC spin out company BIPVco. It is connected to two Aquion Energy saltwater batteries, which are being used in the UK for the first time and can store enough energy to power the building for two days. All 18 regional winners of the Constructing Excellence Awards will be shortlisted for the National Finals which takes place on Friday 17th November 2017 at the Marriott, London. Industry-leading organisations will be recognised for their achievements and SPECIFIC will be pinning their hopes on The Active Classroom to win the National Innovation Award.